Lamps and lanterns lit up our house not only, also the foil atmosphere, lamps and lanterns is very important in the modern household, so to speak. But with the development of household came the consumers of lamps and lanterns of choose and buy more and more difficult. What are the principle when lamps and lanterns of choose and buy needs to pay attention to? Below I will share with you. In the home life, security lighting is our first issue to consider. No guarantee of safety, the window of the other cannot be the advantage of lighting lamps and lanterns. So the safety should be consumer especially with children in the home of a standard user priority. Various household environment, also to the requirement of lamps and lanterns is not the same. To provide security lighting, it is necessary to choose suitable for the lamps and lanterns of household environment. Used in any environment, lamps and lanterns should conform to safety standards, especially the higher request of lamps and lanterns, toilet and kitchen should choose waterproof dustproof higher grade products. 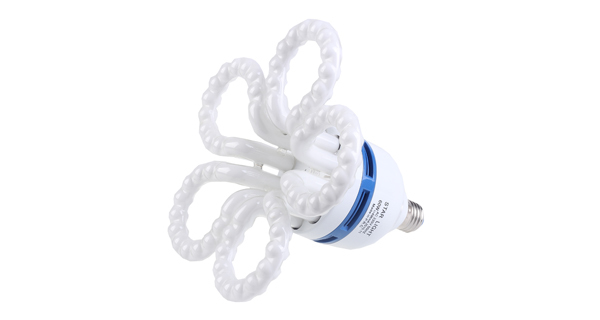 If there are children in the home, lamps and lanterns should be easy to come into contact with, causing an electric shock of lamps and lanterns is due to the adopted is not in conformity with the requirements of the lamp holder or lamps and lanterns, live parts not caused by electric shock proof protection measures such as casing. Art had better not choose lamps and lanterns have sharp parts of products, to try to ensure that children do not produce risk. In general, the larger the lamps and lanterns of manufacturer will have the relevant safety standards, also provide after-sales service, we choose to have a good word of mouth of big brands is a relatively easy solution. Home after long time use of lamps and lanterns are inevitable to scrub or replacement, and clean and tidy the lamps and lanterns of convenient advantage. The use of lamps and lanterns should match the overall decoration of household, also based on the indoor area, what furniture configuration and the corresponding measure. Such as 12 square meters of little sitting room appropriate USES a diameter of 200 mm below the dome light or wall lamp, number, size of lamps and lanterns should coordinate is appropriate, so as not to appear too crowded, also easy to bring inconvenience in household life. Now a growing awareness of energy saving, energy saving lamps and lanterns is not only for us to reduce the electricity, contributing to the low carbon environmental protection and at the same time, the choice of energy-saving lamps and lanterns is a good idea. Choice of energy-saving lamps and lanterns is a simple way is to check the power rating of lamps and lanterns, lamps and lanterns is the unit of watts power (hereinafter referred to as watts, W), the total wattage low power consumption of lamps and lanterns is lower than the total wattage lamps and lanterns. Some products have a "section" the word tag, it shows that the products approved by the winning center, is also safety certification of indicators of lamps and lanterns. Where there is a need to be aware of is that although the energy-saving lamp wattage is low, the price is reasonable, but the energy-saving lamps with mercury vapour, the environmental pollution is large, so the conditional user can choose LED lights for household lighting, our price is higher than other lamps and lanterns, but a lower power, longer life, at the same time also more excellent in terms of environmental protection. The lamps and lanterns of beautiful appearance, the light is enough to give our honors to household lives, use the lamps and lanterns of aesthetically pleasing is also a good way to beautification household environment. Allows all kinds of household lamps and lanterns, consumer also is opinion, different users have different preferences, choose the style and colour collocation also is different, absorb dome light or droplight, we when choosing lamps and lanterns is beautiful you just need to choose their favorite. Should be according to their actual needs and personal preferences to select the styles of lamps and lanterns. If you pay attention to the practicability of light, you should choose black, dark red and dark edge absorb dome light or floor lamp, and pay attention if the decoration and the pursuit of modern style, then can choose lively point lights. If it is love national characteristic modelling of lamps and lanterns can choose sculpture craft floor lamp. The colour of lamps and lanterns should be coordinated with the environment of household decorates a style. Bedroom lamplight decorate must consider the style of furniture inside the bedroom, metope color, the colour of household electrical appliances, otherwise the lights do not agree with the whole of the bedroom is tonal, can outsmart oneself instead. Such as indoor wall paper color is light color department, it should be warm color attune of incandescent lamp as light source, so you can build a bright and soft light environment. With the development of technology, the function of the lamps and lanterns also want to develop in the direction of diversification, intelligent lighting also began to enter our family. A lot of lamps and lanterns provides a variety of functions, these functions are designed for entertainment, have a plenty of designs for the remote control, and so on. We may encounter when choosing lamps and lanterns to add some money you can gain additional features, this needs us in combination with their own actual situation on the basis of choose and buy, to make our life more fashion and more comfortable. The nods eyeball pen of lamps and lanterns is our home life, when the choose and buy must not be careless. Easy to see, although the different variety of lamps and lanterns, but choose the lamps and lanterns of a contentment is not difficult. The above five elements are the focus of the lamps and lanterns of choose and buy, when we choose should be reasonable use. If in combination with the modern home decoration, our home life will be more beautiful.